In the last year alone, adoption of hybrid cloud solutions has tripled. Between 2016 and 2017, the percentage of organizations using a hybrid IT infrastructure has increased from 19% to 57%. Hybrid cloud is a new era in IT operations, according to Dell SVP Josh Kahn to Forbes. Unlocking the potential of the cloud requires organizations to “think about IT services rather than IT projects.” A focus on the technology and how it should work is a driver for effectively lending on-premises, private, and public resources to carry an IT workload. A hybrid approach to cloud adoption involves using both one or more public cloud vendors, like Amazon Web Services (AWS), with on-premises applications or private cloud resources that are only used by your organization. Read on to learn what separates hybrid cloud from other approaches to cloud computing, and how to best integrate your on-premises application with public cloud resources. The two separate infrastructures have the ability to communicate via an encrypted connection, like dedicated CloudConnect. The two environments are designed for the portability, or workload transfer, between the two environments. For organizations with mission-critical applications that are stored on-premises, moving to a hybrid model can enable access to computing resources from the public cloud without assuming significant security risks. By retaining your protected data on-premises or in a private cloud, you can run applications with public cloud when user demand peaks, while storing your data on-premises most of the time. If you’re worried about integrating your on-premises apps with newer cloud technologies, you’re not alone. The second, most common barrier to hybrid cloud adoption, per DataCenterKnowledge research, is concerned about support for legacy applications. No organization can afford to reduce the functionality of its mission-critical apps. Integrating your on-premises apps with the cloud for better performance can allow you to extend the lifecycle of your systems, but a thoughtful approach to implementation is critical. For many organizations, a move to a hybrid cloud model will involve integrating your on-premises applications with newer, software-as-a-service apps that are delivered via the cloud. Prior to implementation, understanding your application program interface (API) options is critical. If your applications offer open APIs, you’ve got an immediate advantage over API-less apps. Cost is a crucial factor to understand when you’re evaluating whether APIs are available to sync up your on-premises legacy apps with cloud resources. Some vendors offer API access to their licensed users at an additional fee. While this makes sense for some organizations integration needs, others find the additional subscription or licensing fees make integration prohibitive. While a hybrid cloud environment offers extensibility and the opportunity for organizations to “burst” into using additional resources on-demand, the implementation should be based on prior research on how many computing resources are needed, based on historical demand for your on-premises applications have. In order to plan for needed capacity when cloud bursting occurs, it’s useful to understand how often and when these increases in workload occur. Generally, experienced cloud vendors can assist IT teams in understanding the public cloud resources they will need and factoring the environment to support your bursting needs. Their cloud planning methods may involve technical testing, like running simulations of your application performance on your hybrid cloud before you go-live to understand exactly how your resources will support your needs. When transitioning exclusively on-premises applications to integrate with public cloud resources, user access management can be a key challenge. This can be even more difficult for companies without extensive data governance programs in place. It’s important to avoid underestimating the importance of user identity management during a move to a hybrid cloud, state's CTO George Reese. “It's a problem that gets bigger...because it's not the main thing that comes to mind” when thinking of integration-based challenges. The user access documentation phase often presents a strong opportunity for organizations to improve their information security by discovering and deleting unused accounts, and reducing access for existing employees to a strictly need-to-know basis. While performing a comprehensive audit of your user access and accounts for legacy applications is downright overwhelming if you’re trying to do it manually, your vendor can introduce automation into the process for auditing and reporting, allowing you to seamlessly manage account access via the hybrid cloud in the future. After implementation, your on-premises apps should communicate with your public cloud resources via a dedicated, encrypted connection. The communication needs to be bidirectional as your resources work simultaneously to support your workloads. The legacy apps need to transfer data quickly to the public cloud, and vice versa. Successfully integrating your on-premises apps to scale to the cloud on-demand requires planning for effective extracting, transforming, and loading (ETL) of your data in real-time. Bi-directional communication and effective ETL processes are crucial for your hybrid cloud resources to effectively update transactions and logs to reflect user activities. The right hybrid vendor can work to effectively support a seamless implementation of on-premises apps with public cloud resources, even if you’re dealing with challenging legacy apps. By bulk-loading data prior to integration to test ETL processes, you can understand how the two different systems will undergo real-time communication. Your organization’s people and customers are dependent on the success of your hybrid cloud environment, and how effectively your two systems communicate and share data via the dedicated connection. Depending on what applications you’re integrating with public cloud resources, it’s not uncommon for customer relationship management tools, accounting apps, or enterprise resources planning-based processes to use a mixture of on-premises and public cloud resources. Since your organization relies on your technology to support the success of your people and processes, ongoing testing and process optimization is critical. Using tools for business process management, your vendor may work with you to ensure your new hybrid cloud model supports your need for technology that’s low-cost, high-performance, and secure. While the move to hybrid cloud represents a new era for business information technology, the concept is here to stay. Services-based, on-demand computing is both the present and future. By 2020, Gartner analysts predict that 90% of organizations will adopt a hybrid infrastructure. “"As the demand for agility and flexibility grows” states Gartner Director DD Mishra, “organizations that adopt hybrid infrastructure will optimize costs and increase efficiency.” Overcoming the key challenges of hybrid cloud adoption and integration, including integrating legacy on-premises apps with the public cloud, can allow organizations to securely deliver high-quality services. Unlocking the value of hybrid cloud requires effective implementation planning to ensure your users, data, and business processes are adequately supporting in a multi-sourced environment. 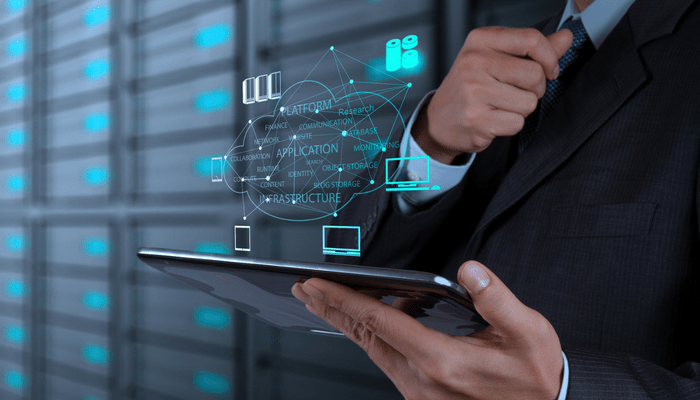 However, organizations can also benefit from forming relationships with a single-source provider for business communications and connectivity; including fiber-optic internet connectivity, data center, cloud backup, and more. Working with an all-in-one provider for all of your connectivity needs can allow organizations to access cloud-services securely and on-demand, while saving costs and appreciating easier troubleshooting. To learn more about how Atlantech Online--a leading provider of Fiber Internet connectivity, Data Center, Cloud Services, and dedicated CloudConnect--can help your organization unlock the benefits of hybrid cloud, click here to start a conversation.